Amchur powder is usually used when the mangoes are out of season, to add flavor and nutritional benefits of mangoes to the foods and drinks. It is soury yet sweet to taste. Tart pale beige to brownish in colour, it is used to add tanginess to the dishes and can be used as a substitute of lemon. 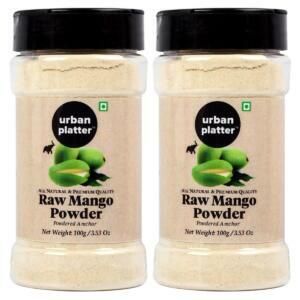 Enhancing the taste of your meal, this mango powder is absolutely safe for you. 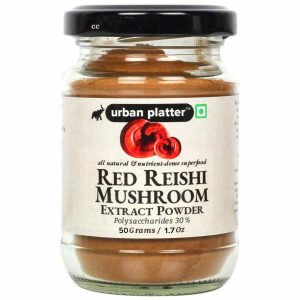 An ideal pick for making delicious food, this powder will blend with almost any recipe. This mango powder will not only spice up your food but will also add aroma and flavor to dishes. 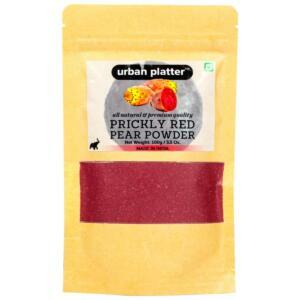 Dried mango powder is a souring agent so it can be used to flavor braises, stews, soups and vegetable dishes. It is especially delicious when combined with green vegetables like okra, potatoes, stewed lentils and chutneys. It'd be a great way to add a little zing to chilli and other dishes that benefit from a dash of citrus. Urban Platter Dehydrated Raw Mango Powder, 100g / 3.53oz [Pack of 2, Amchur Powder, Flavorful] Dried mango powder, or amchur as it is known in India, is a wonderfully aromatic spice that can be used to perk up a variety of dishes. Pale in color and with a tart yet fruity flavor, amchur (also spelled as amchoor) is an easy way to add a touch of acidity to dishes when you don’t have a lemon on hand. Amchur is made from green mangos that are thinly sliced and left to dry in the hot sun. Then they are ground into a powder and used as a spice or tonic to aid in digestion. 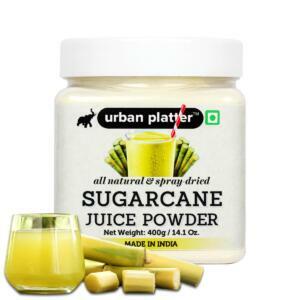 It is sold in Indian stores but can also be purchased online. Dried mango powder is a souring agent so it can be used to flavor braises, stews, soups and vegetable dishes. It is especially delicious when combined with green vegetables like okra, potatoes, stewed lentils and chutneys. It'd be a great way to add a little zing to chili and other dishes that benefit from a dash of citrus. 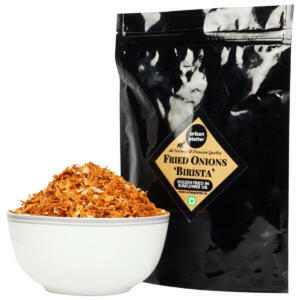 What’s great is that this spice also tenderizes meat so you can add it to your favorite marinades. A little goes a long way so start with half a teaspoon and taste before adding more. Amchur is commonly used in Northern Indian dishes such as pakoras, fried vegetable dumplings dipped in a spicy chickpea batter.